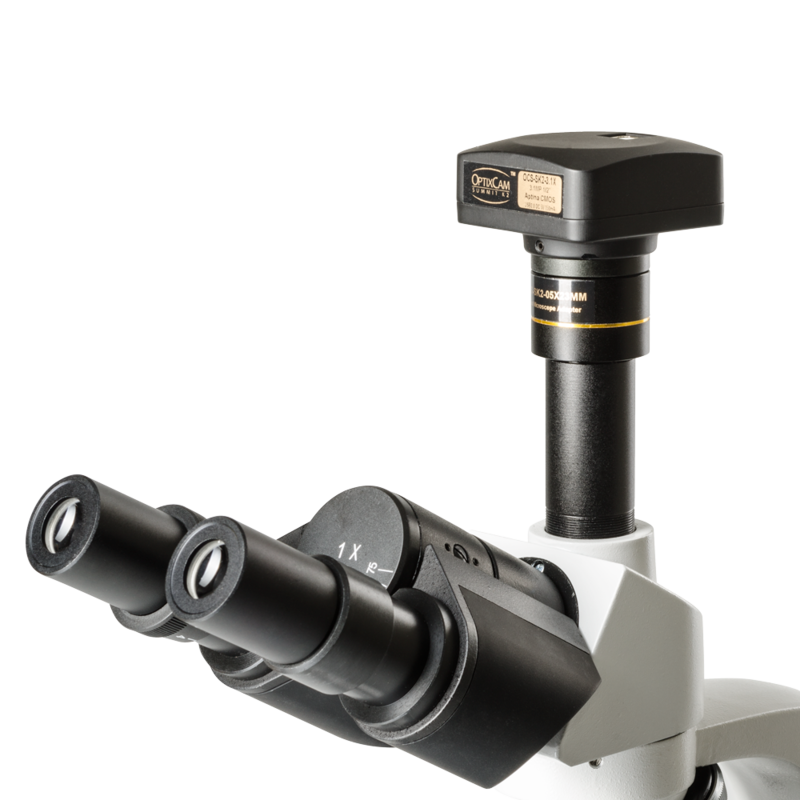 The new OptixCam Summit OCD-SK2 series 1.4MP digital microscope camera introduces Sony's Super HAD (Hole-Accumulation Diode) CCD technology to the digital microscopy world. 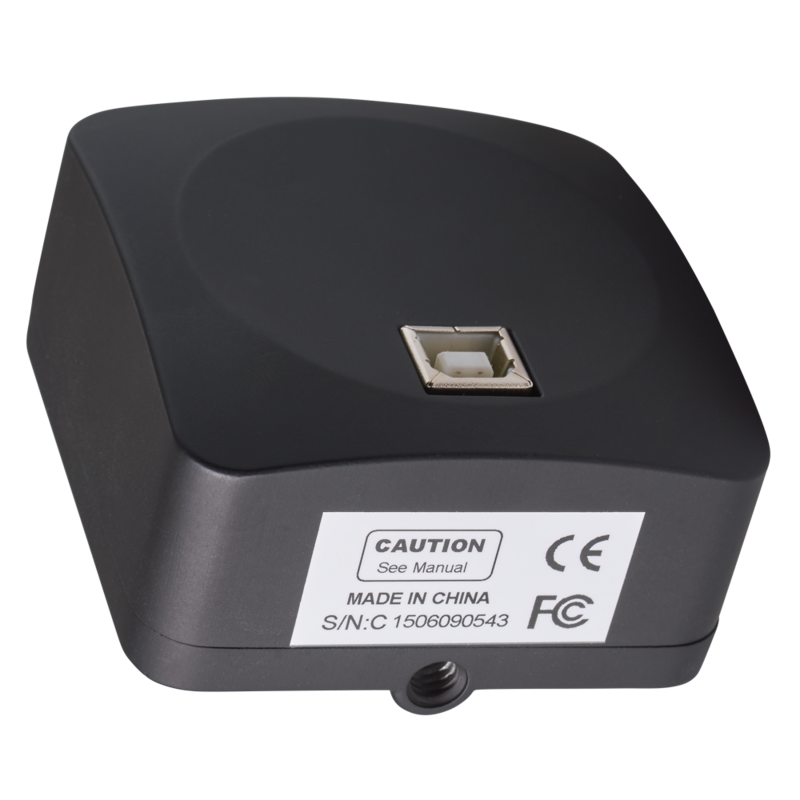 Built around Sony's premier reputation for versatile and dependable image capture devices, our new CCD camera offers exceptional noise suppression and high sensitivity to light. This makes the OCD-SK2 series ideally suited for life science applications challenged with low levels of ambient light, such as fluorescence testing, pathology and organism documentation. Advances in camera CCD chip technology have steadily reduced the size of microscope camera sensors while packing many more pixels onto the chip surface. 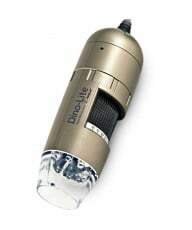 This creates significant problems regarding noise, sensitivity and getting the right amount of light to each pixel. Sony's Super HAD CCD technology offers an innovative solution which uses two micro lenses on top of each photo diode on the chip, enabling it to collect more photons from incoming light than a standard CCD sensor. In addition, by optimizing the shape of the "on-chip microlens" the amount of wasted light is also reduced. 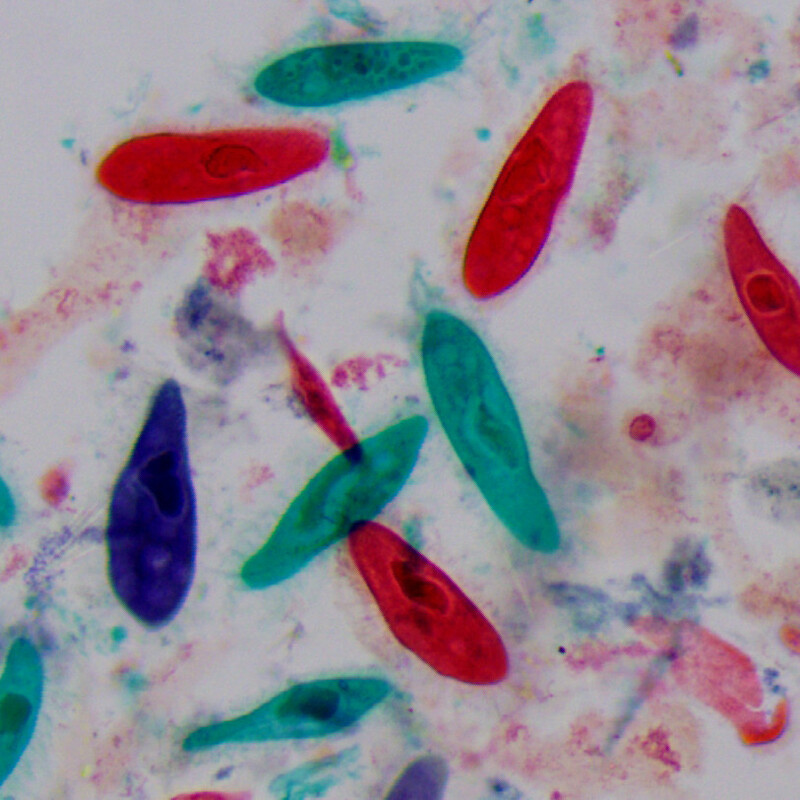 What this means for users is a clearer, crisper and more vibrant, natural-looking image in demanding low-light environments like fluorescence microscopy and biomedical research. The Summit OCD-SK2 series cameras bring Sony's industry-leading CCD technology to a wide range of documentation demands of routine life science, industrial and research environments. Built around Sony's proven ICX205AK Super HAD CCD color sensor, they share a broad dynamic range, progressive scan and 12-bit parallel resolution for accurate color reproduction and optimal image quality. All OCD-SK2 series cameras are CE and FCC certified. 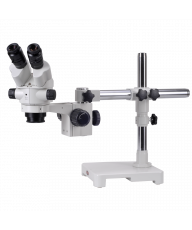 All Summit OCD-SK2 microscope cameras share a rugged aluminum alloy body fitted with different size Sony CCD sensors depending on the model. All cameras are standard C-mount and tripod mount-compatible, allowing for use on microscopes or machine vision lens systems. 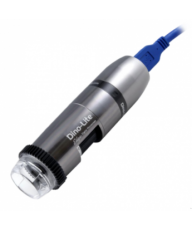 Advanced documentation and measuring software is included, and C-mount adapters, calibration slides and spacer collars are optionally available. The included PC / MAC compatible K2View software creates a complete imaging solution with intuitive camera controls, image capture and advanced options like annotation, geometric measuring and storage in JPG, BMP, TIFF, PNG, PCX AND TARGA format. The software also includes auto white balance, color enhancement, anti-flicker and other benefits. TWAIN and DirectX plug-ins are also included on the installation CD and are independent of the main driver, allowing discreet control of the camera for these applications. Accessories include K2View Software CD, USB 2.0 cable. Box size: 6" x 6" x 4". Shipping Wt. 1.6lb. 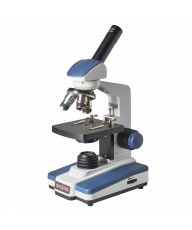 Brand New - Sony Super HAD CCD OCD-SK2-1.4The new OptixCam Summit OCD-SK2 series 1.4MP digital microscope camera introduces Sony's Super HAD (Hole-Accumulation Diode) CCD technology to the digital microscopy world. Built around Sony's premier reputation for versatile and dependable image capture devices, our new CCD camera offers exceptional noise suppression and high sensitivity to light. This makes the OCD-SK2 series ideally suited for life science applications challenged with low levels of ambient light, such as fluorescence testing, pathology and organism documentation.Advantages of Sony CCD TechnologyAdvances in camera CCD chip technology have steadily reduced the size of microscope camera sensors while packing many more pixels onto the chip surface. This creates significant problems regarding noise, sensitivity and getting the right amount of light to each pixel. Sony's Super HAD CCD technology offers an innovative solution which uses two micro lenses on top of each photo diode on the chip, enabling it to collect more photons from incoming light than a standard CCD sensor. In addition, by optimizing the shape of the "on-chip microlens" the amount of wasted light is also reduced. What this means for users is a clearer, crisper and more vibrant, natural-looking image in demanding low-light environments like fluorescence microscopy and biomedical research.Summit OCD-SK2 Series FeaturesThe Summit OCD-SK2 series cameras bring Sony's industry-leading CCD technology to a wide range of documentation demands of routine life science, industrial and research environments. Built around Sony's proven ICX205AK Super HAD CCD color sensor, they share a broad dynamic range, progressive scan and 12-bit parallel resolution for accurate color reproduction and optimal image quality. 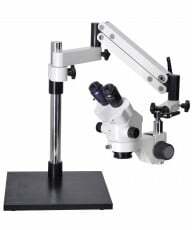 All OCD-SK2 series cameras are CE and FCC certified.All Summit OCD-SK2 microscope cameras share a rugged aluminum alloy body fitted with different size Sony CCD sensors depending on the model. 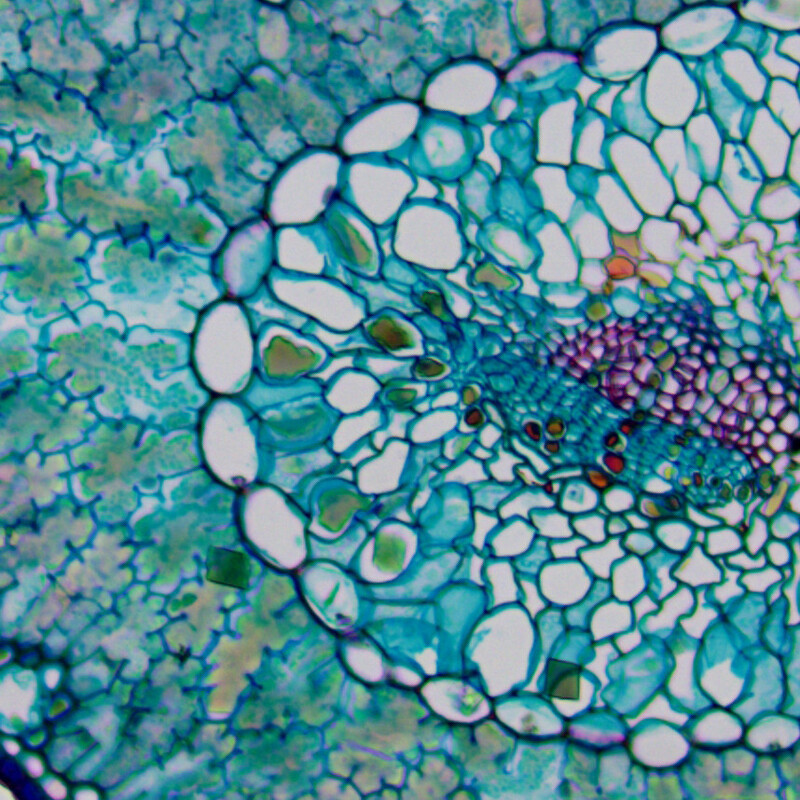 All cameras are standard C-mount and tripod mount-compatible, allowing for use on microscopes or machine vision lens systems. Advanced documentation and measuring software is included, and C-mount adapters, calibration slides and spacer collars are optionally available.SoftwareThe included PC / MAC compatible K2View software creates a complete imaging solution with intuitive camera controls, image capture and advanced options like annotation, geometric measuring and storage in JPG, BMP, TIFF, PNG, PCX AND TARGA format. The software also includes auto white balance, color enhancement, anti-flicker and other benefits. 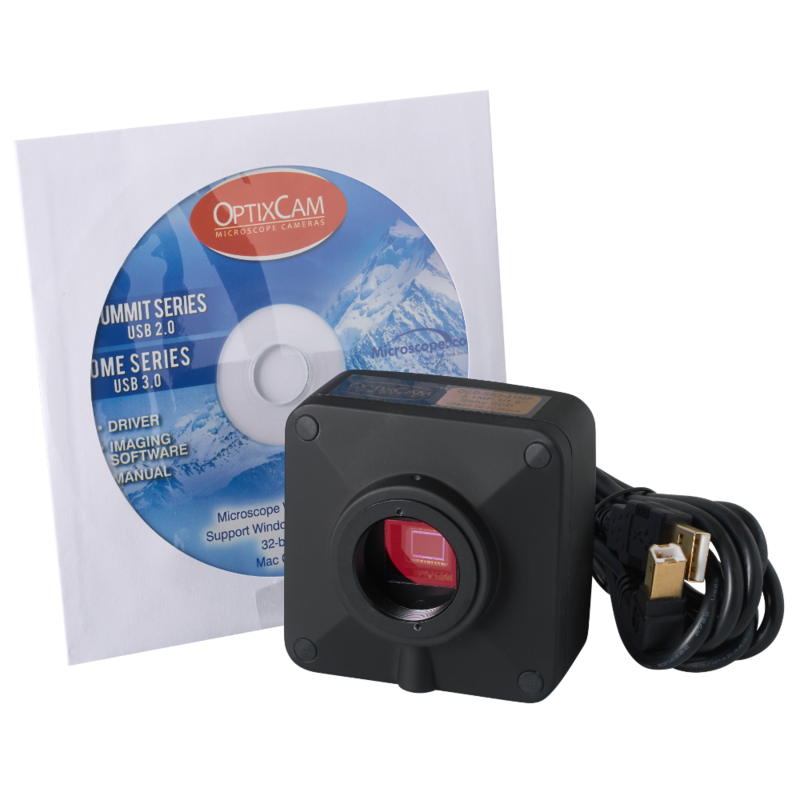 TWAIN and DirectX plug-ins are also included on the installation CD and are independent of the main driver, allowing discreet control of the camera for these applications.Accessories Accessories include K2View Software CD, USB 2.0 cable. Box size: 6" x 6" x 4". Wt. 1.6lb.